A very high quality speaker cable made up from 196 strands of 0.12mm per conductor in a 28/7x0.12mm (2x 2.2mm squared) configuration, overall width 8.5mm. 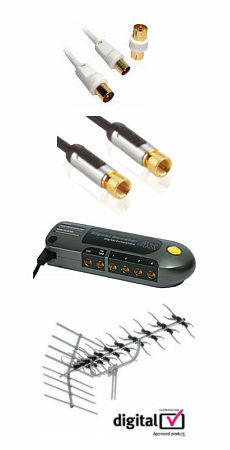 Suitable for home audio, hi-fi, home cinema and car audio applications. 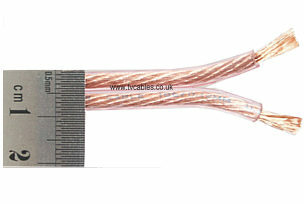 A very high quality Oxygen Free Copper speaker cable, ideal for use in home cinema and hi-fi systems as well as car audio systems. The speaker cable features a very flexible transparent PVC jacket for easy installation. Profigold PROD700 High Performance Banana Connectors. Connect your speaker cable to the banana entry sockets on your loudspeaker. 24k Hard gold plated contacts Colour coded plugs with silver soldering Screw secure cable entry.